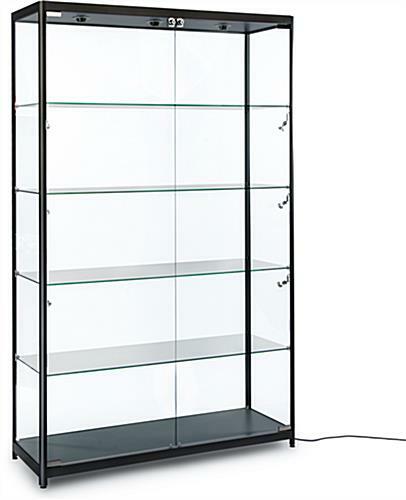 This modern LED display cabinet comes with (4) 6mm thick tempered glass shelves that perfectly accent your presented merchandise. 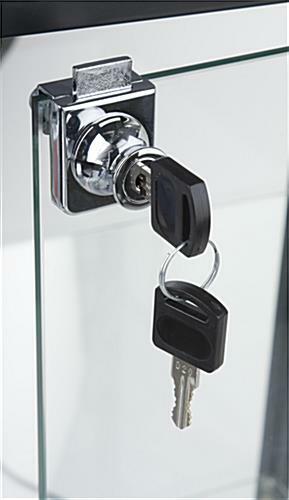 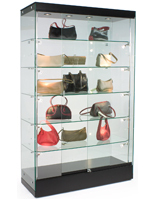 Each case features locking doors with a high quality key lock for added security and peace of mind. 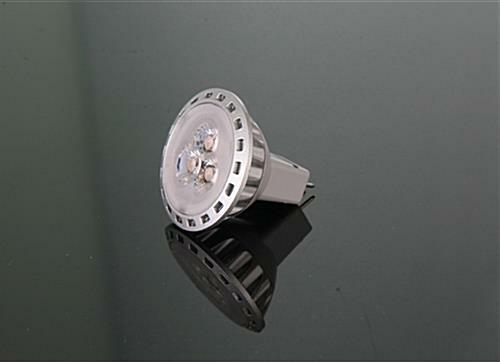 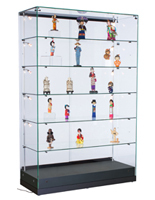 Additionally, each free standing display cabinet comes with 9 efficient bulbs, 3 are located on the ceiling and 6 are positioned under the glass shelves. 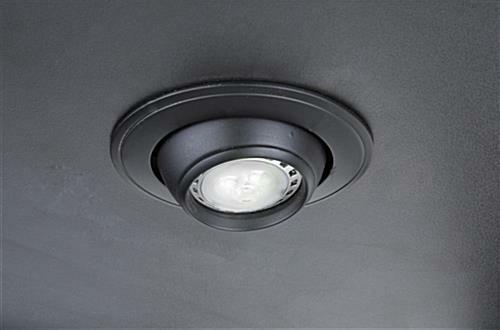 All the lights are adjustable and can be pointed to best reflect the merchandise currently being showcased. 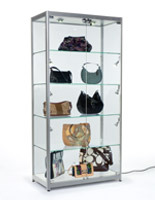 Hidden on top of the unit is a power switch to turn the case on and off without having to unplug the unit. 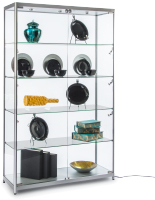 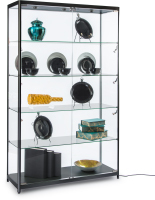 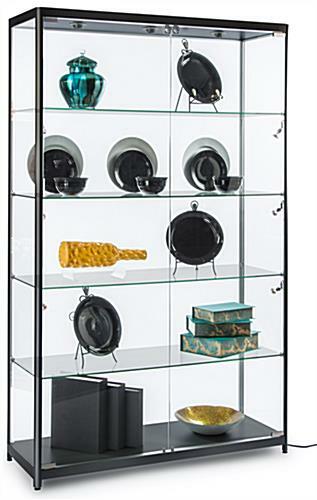 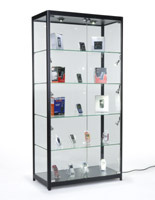 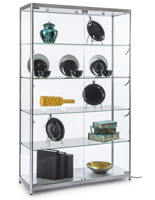 Use this display cabinet in your business to effectively showcase electronics, jewelry, collectibles, and more!